At Atlanta Medical Clinic, we provide annual wellness exams to help you maintain and enjoy good health, rather than wait to provide treatment when you are sick. An annual wellness exam is one of the best ways for early detection of serious medical problems, and to maintain your health. The medical weight loss program by Atlanta Medical Clinic was developed with the medical expertise of our doctors and nutritionists. This program takes each patient through a comprehensive health exam, BMI data, and patient feedback. Getting to a healthy weight doesn’t just mean better health, it means a better life. At Atlanta Medical Clinic we provide natural strategies and lifestyle support to you achieve your highest health potential and prevent degenerative disease. As part of our wellness program we offer Ionic detox foot bath therapy. A Detoxifying Foot Bath will release toxins from their storage areas in your feet so they can then be filtered by the body’s natural Lymphatic and Immune Systems. 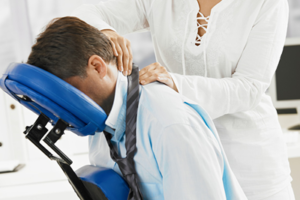 Our chair massage technique focuses on the manipulation of the soft tissues on your upper body, including; your head, neck, back and your shoulders which are normally the source of frequent tension. When seated in this designed chair, our therapists have easy access to the key areas, and the result is a very targeted massage – designed to pinpoint exact areas of your body.